If you own a payment card, be it credit or debit, chances are it supports contactless payments, and if you’ve ever used it you know exactly why that is. Contactless payments are objectively the best way to pay for services, possibly just short of sending payments with your mind like in a sci-fi movie. All you have to do is touch your card, or sometimes even your phone if it supports contactless payments, up to the POS terminal, and voila, transaction complete! It almost seems like magic, but how does it really work? How did the technology evolve? How many people are using it, and where is it headed? Contactless Card Payment – How Does it Really Work? While contactless payments may seem like nothing short of sorcery and witchcraft, the technology that powers them is fairly standard and has existed for quite some time. In fact, you may be surprised to learn that the chip which does the bulk of the work is the exact same one that you’ve always used in your card for electronic payments at ATMs and POS terminals. But if all cards have this chip, why do some support contactless transactions and others don’t? Contactless cards contain a long, thin wire coiled around the edges of the plastic. The function of that wire is two-fold, it acts as an antenna in order to wirelessly transmit the chip’s information to the POS terminal, and also fuels the chip with power thanks to a magnetic field generated by the terminal. The wire connects to the chip through a secondary chip underneath it, transmitting the necessary information (such as account number) to the terminal, which in turn sends it to the bank to make the transaction. A technology of this nature isn’t new at all – in fact, it was first used in the late 90s when a Korean train company first implemented it for its passes. Of course, the tech would only be popularised a few years later, when Oyster famously used it to provide its customers with contactless cards for bus and underground travels. 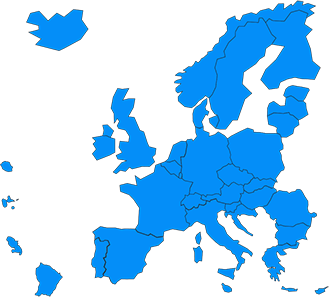 While there were several attempts to use it for payment purposes, most didn’t really take off until 2007, when Barclays implemented it into a line of debit cards for the UK and later EU market. Naturally, it turned out that a lot of people really enjoy the idea of paying for stuff by simply swiping their card over the POS terminal instead of going over the needlessly long process of inserting it, waiting for the chip to be read, inputting PIN, etc. 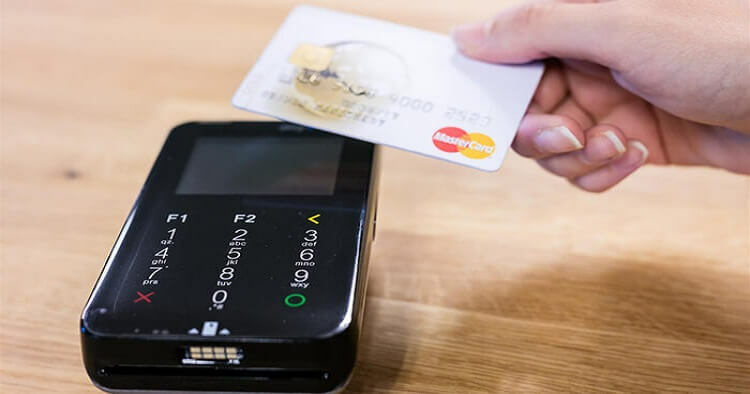 Within a year, VISA, Mastercard and Europay all released their own versions within a year, and eventually teamed up to patent the technology and set a security standard for all contactless cards known as EMV (three guesses as to why they settled on that name). By the early 2010s, the technology had already taken the world by storm, with Google and eventually Samsung and Apple releasing “mobile wallet” functionality for their respective phones. So, with cards and phones loaded with a sufficiently magical payment force field, how many people have actually taken advantage of that in 2018? According to an infographic released by VISA, 40% of all face to face payments worldwide are now done through contactless means. That’s a number which continues to rise as more and more markets adopt the technology, which, sadly, isn’t as evenly spread worldwide as some may have you believe. Canada, for example, has mostly gone contactless, with over 75% of all F2F payments done by simply tapping a card or a phone to a POS terminal. In other markets, like Latin America, less than 25% of all transactions are done through contactless means. Still, there’s good news for fans of paying by tapping. On average it takes less than two years between the technology being introduced in a market and it being adopted by most of the population. So by 2020, it’s safe to say that a whole lot more of the world will go contactless. The technology surrounding contactless payments is always changing and evolving – who knows how it’ll look next decade? Maybe it’s as simple as more people having contactless cards, or perhaps the functionality will continue to evolve. After all, ten years ago few could have imagined sending payments by tapping their phone to a POS terminal, but now it’s an everyday reality for many of us. What new methods of payments will become adopted, and how can merchants prepare for them? Well, remember that the secret behind payments hides in a tiny chip, which doesn’t necessarily need to be in your card or phone. What if you could just implant it directly into your hand and pay by waving your palm over the terminal? This may sound like sci-fi nonsense, but is actually happening today, with several countries (like Sweden) allowing shops to legally implant a chip into your wrist. These can be programmed with stuff like your bank information, your bus card number or your office card ID, allowing you to get through doors and pay for services even if you don’t have your wallet or phone with you. The technology is still in its infancy, and many are naturally reluctant to have microchips inside their bodies, but as time goes on it’s not hard to imagine more and more choosing this scary-sounding, but extremely convenient option. What about POS terminals, though? It’s hard to imagine those getting any better, since – outside of contactless functionality – they’ve barely been updated since their inception. Seriously, the “modern” POS terminal emerged in the 80s and it doesn’t look or work all that differently from those we have today. Which is odd because the rest of our electronic technology has made leaps and bounds in that period. Compare the phones of the 80s to the phones today! Imagine if POS terminals went through a similar leap. Luckily, you don’t need to – the terminals of the future are here today! Luckily myPOS has it covered. A major force in the payments industry specialising in providing next-gen POS terminals to small and medium businesses . The payment terminals we offer are affordable, portable (they come with a free data card) and with a variety of features such as topping up private label gift cards and prepaid phones or letting customers leave tips. Alongside that myPOS offers seamless online integration, allowing you to send payment requests to your customers and let them check out online (through your website, marketplace or even social media page), with the profits going to the same bank account as those from face to face transactions. It is the reason why thousands of clients globally have trusted us. We’re not a traditional POS solution, and continue to get better. This entry was posted in FinTech and tagged contactless payments. Bookmark the permalink.